As soon as you begin to enter the wide universe of digital marketing, you will come across three letters that will adhere to your head more strongly than your first love: SEO. 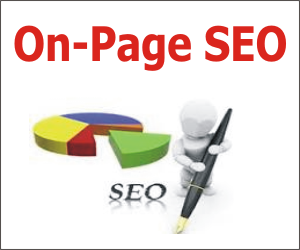 Together they are the abbreviations of Search Engine Optimization; a term that was first published at the end of the nineties. Almost immediately after the birth of Google in 1996 … and it changes daily. So before you go crazy, you might want to take a look at the answers to some of the most common SEO questions for newbies. Several years before social networks were the most popular in school, search engines were the only way to guide visitors to a web page. The first positions of a search were valuable spaces of that time in which all the business wanted to appear. Faced with that need, SEO was born, a set of efforts to improve the visibility of a website in the organic results of the different search engines. These actions are transformed as the dominant player changes the board. The biggest one set the rules. You already understood: if Google moves, SEO moves. Two points should be recorded on your skin if you want to delve into the world of SEO: Authority and Relevance. Authority: Basically refers to the popularity of a website. How many Internet users visit it and, based on their behavior within it, how useful their content has been. How long do they stay there? How many times have they shared what they find? Do they click on other internal links? All these questions allow Google to measure the user experience and to a large extent define the authority of a domain in front of the search engine. Relevance: This is the relationship that a specific page saves in front of a certain search. In the beginning it was determined by the number of times that repeated a term within the content; however, with time and technological advances, new elements have been taken into account. The extension of the information, the structure, the diversity in the formats, are just some of them. This is what you know as on-page SEO. Yes, you are already clear on exactly what SEO is, what your objective is and the two main points, you will still have some SEO questions for newbies who need answers. Next we will answer ten of them. 1. What is the white hat and black hat SEO? Right, maybe that’s not the first question that came to your mind. Believe me; it’s worth talking about it. The sooner the better. There is a long list of elements that search engines take into account to define the authority of a domain and the relevance of its content in front of a search. Some are public; others are hidden in the algorithms. Nobody can know them all. That said, you should know that SEO is not like war or love: not everything is worth it. The search engines define the algorithms and therefore also mark the rules. Some people in the industry have labeled different practices such as white hat SEO, black hat SEO and even gray hat SEO. Terms that refers to the ethical-normative level of each of them. These three types of SEO have emerged from the Google guidelines on what sites can or cannot do to improve their positioning. Unethical practices, also called black hat, are usually penalized. Therefore it is recommended to stay in the margins of white hat efforts, which are aimed at helping search engines identify the content and not to deceive the algorithms. Google has published a very clear guide to help you identify the best way to position your website without risking being penalized. When reading it in detail you will find a detailed description of what is considered acceptable. Choose a title that is natural and effectively communicate the theme of the content of the page. Choose a title that has no relation to the content of the page. Use default or inaccurate titles such as “Untitled” or “New Page 1”. Ideally, all the pages of a website should have a unique title, since, in this way, you help Google to know how a page differs from the others. If you use independent mobile pages, remember to use effective titles in them too. Use the same title in all the pages of a website or in a large number of them. Ignoring these guidelines can be classified as an SEO error for newbies. Nobody beats the algorithm, at least not forever. Believe me you do not want to get a penalty from the search giant in the process. Re-indexing a site after a penalty can be a costly and arduous process with no guarantee of positive results. The professionals of the white hat SEO use tactics according to the guidelines set by Google and do not risk sanctions. This path, besides being the most ethical, is the least risky. For this point you may have already imagined that few professionals are totally white or black, most are more what is called Gray Hat SEO, which means they use a mixture of black and white tactics to position a website … sometimes even by mistake. The important thing is to be out of risk before Google. 2. What keywords to choose? As you know, the relevance of content is defined by its relation to a certain search. That search is given through a term or keyword. This means that keywords are the basis of SEO. The research and selection of keywords is essential for anyone looking to improve their results on the pages of search engines (SERP). If you’re a coffee shop you probably will not be interested in being the first result for someone looking for shoes. So you must work with keywords that first align with your business objective. Then you should make sure that those words are exactly what your potential consumer would look for online. To know these terms, the first thing you should be clear about is the profile of your Buyer, (yes that tool that appears again and again each time the topic of digital strategy is put on the table). Starting from that profile will facilitate your task exponentially. Once you have it you should be sure to choose long tail or long tail keywords: terms that we use in Google to search for something very specific and that contain at least three words. 3. How often does Google update search results? Bad news: Google is updating its algorithm every day. So moving from finding answers to SEO questions to newbies, to being an expert in the field can be really difficult. Google uses the real-time comments of the searches to update the ranking and the algorithm. Being minor changes, it is almost impossible to notice them with the naked eye. However, it is possible that one of your contents goes from position four to position five in one day. That is normal. Of course, Google is not limited to daily updates. Sometimes, the search giant can make changes to the main algorithm, which directly affects black hat practices. These effects result in instantaneous loss of traffic and even of economic flow for the companies linked to them. In contrast, White hat SEO practices allow organizations to have a sustained growth and a more stable positioning. 4. Will SEO work for me? When we talk about launching a new online marketing strategy, it is recommended to select those tactics of this vast universe that best align with your business strategy. However, in the case of SEO, the answer to this question is almost always yes. Regardless of what type of business you have or what your size is, mastering some SEO techniques will help you position your site better, as long as it includes relevant and useful content for the user. It is important to note that although tactics are generally guided by Google’s guidelines, SEO is very useful in front of all search engines, so do not be afraid to implement it the next time you upload a video to YouTube, for example. The video site is, after all, the second most important search engine on the web. If you create videos, you can implement SEO for your YouTube videos. If you have an online store, eCommerce SEO is a big business and for small local businesses, it imports the sub-niche ‘local SEO’. 5. How much does it cost to do SEO? Like many of the tools and tactics employed in digital marketing, the cost depends to a large extent on the level at which you wish to work. Large companies may hire agencies to handle the issue. These will make quotes for projects that can range from a few hundred to several thousand dollars. Do not be discouraged. The numbers do not exclude small businesses. 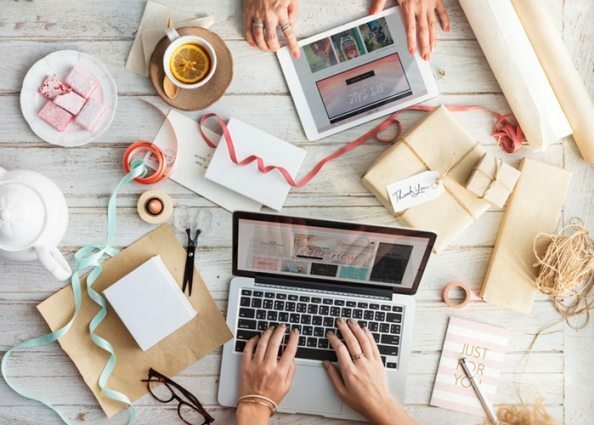 Entrepreneurs and SMEs can undertake their own DIY efforts analyzing success stories, SEO guides for newbies and some tools available on the web. This means that with a little study and practice you can advance a lot. Of course there are also formal courses if you are interested. 6. How long does it take to work SEO? One of the big mistakes of SEO for newbies is to believe that it is instant oatmeal. Like everything in this life: the level of effort required depends on the size of your goal. If you are a local company and you already have previous content work, you may want to get presence in the searches of your community; getting it may take a few days or a few weeks, depending on factors such as the authority of your site, the selection of keywords or the level of competence. If, on the other hand, you have a new site that is interested in positioning at a national level, it can take several months to get it. It is important to remember that an efficient SEO job involves a large number of variables that go from the structure of the site to the user experience. The selection of keywords and the constant updating of the content play a fundamental role in this process. To skip the level of SEO for novices, there are tools that can pave the way in terms of searching for keywords that you can position. SEMrush is one of them. 7. How do I know if SEO works? SEO works. At least the well done SEO works. The issue is that, going back to SEO mistakes for beginners: no, it’s not instant oatmeal. Also, the only guarantee is that if you do not, your digital content efforts are wasted. Nothing and nobody can guarantee the first result of Google organically, not even the first page. What is certain is that without SEO your content is destined to disappear in the most remote corner of the web, before you finish creating it. Once the goal is established, you must set appropriate metrics to determine the progress. Remember that according to the size of your goal, SEO can produce results in the short or long term; it usually takes time and in some cases it can take a year or more. Do not despair. If your goal is, for example, increase traffic to your website, Google Analytics is the measurement tool par excellence. The first indicator will be the growth of visits by organic searches. The Google webmaster console is also a good option. 8. Do social networks matter for SEO? Some experts will say that it does not influence SEO at all; however, there is at least one direct benefit of social networks about it. As we mentioned before, the user experience influences the authority of a site in front of the search engines. Shared content can often be seen by other journalists or bloggers who can link to the original article; which certainly has an impact on the level of authority. Of course it is virtually impossible to determine what content will go viral to such an extent that multiple sites begin to share it. Although it is a particularly common phenomenon in audiovisual content. At the same time, sharing content on social networks helps to bring some additional traffic to our site, and if the user experiences a pleasant experience in it, it is very likely that Google will detect it as a success. Again, a positive impact on the level of authority. 9. What are the links and what are they for? Each time you get closer and closer to the end of these SEO lessons for newbies. When you’re done, you may not be an expert, but you will be ready to integrate the basic principles into your website and look at the results. One of the ways in which Google determines the authority of a website is through references. That is, when another site points to the information of the first, it gives a guarantee of trustworthy and relevant. A website can have internal and external links. The interns provide Google with an idea of the structure of the site; they tell you that the content is related to each other. Since that element can enrich the user’s experience, it is a point in favor of positioning. External links, on the other hand, lead to a different site and work as a validation against the search engine. One of the many practices aimed at improving our search engine positioning takes advantage of this type of links. It is link-building, a tactic that consists of actively looking for links from other sites to your web page. 10. What are the most popular tools for SEO? There are dozens of tools available on the net that can help you improve your SEO for beginners to become an expert. Some of the most common are Moz, Ahrefs and the aforementioned, SEM Rush, they are all paid, but they help you in tasks ranging from the analysis of your competence, to the selection of keywords and measurement of results.